Concordia University trumpet professor, Mike Cartile has been playing for many years. Born and raised in Montreal, he studied at McGill University. 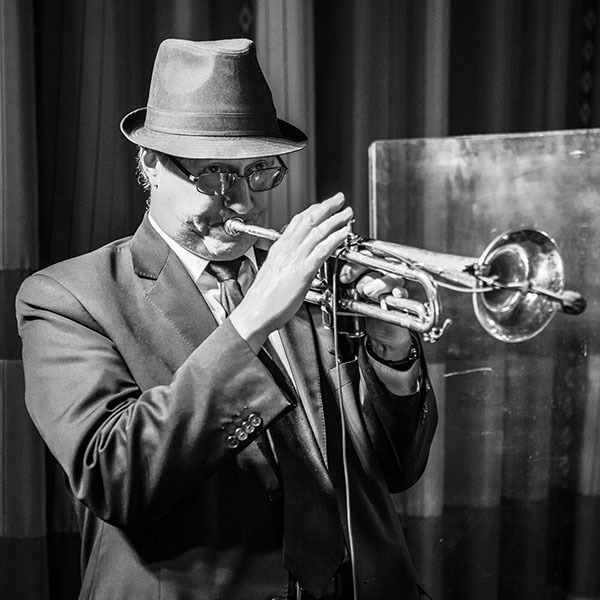 As lead trumpet for the Vic Vogel Big Band, Mike has performed with such legends as Dizzy Gillespie, Mel Torme and Nathalie Cole. At the Place-des-Arts he has played principal trumpet in productions such as “Les Miserables”, “The Phantom of the Opera”, “The Kind and I”, “Annie”, “Fiddler on the Roof”, “Grease”, “West Side Story” and “Cats”. Mike has also recorded the sound tracks for and appeared in movies such as “The Family”, “P.T. Barnum”, and “The Audrey Hepburn Story”. Mike has performed at the Montreal International Jazz Festival for the past 28 years.